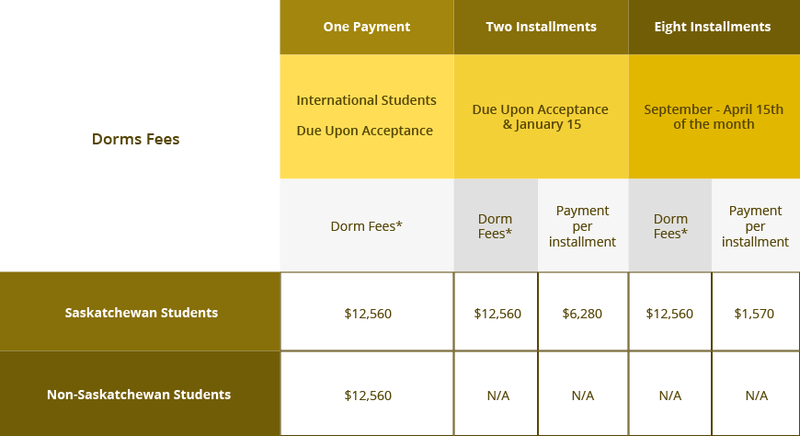 A tuition payment form must be completed and submitted with the tuition payment. Reduced tuition fees apply to families with more than one student registered in the same academic year (based on Saskatchewan tuition). A room damage deposit of $500 is due upon acceptance. The deposit is refunded when a student withdraws, less any costs incurred in repairing damage to the room or its fixtures, or any dorm-related charges. The damage deposit is a one-time fee and will be held over the length of the student’s stay at Luther College. Refund of damage deposit and education bond may take up to 8 weeks.